If you are a certified public accountant who is either a certified fraud examiner (CFE) or is certified in financial forensics (CFF), you may qualify to be a Red Flag Reporting affiliate. 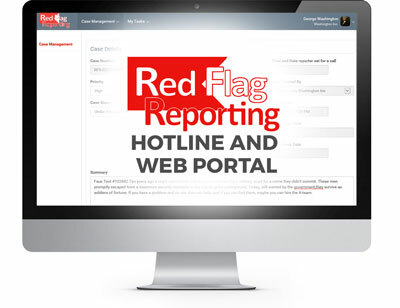 There are many benefits to being an affiliate of Red Flag Reporting for you and your clients. To receive a white paper overview of what it means to be an affiliate, fill in the contact form below and you will receive a whitepaper and link to a Red Flag Reporting demo.